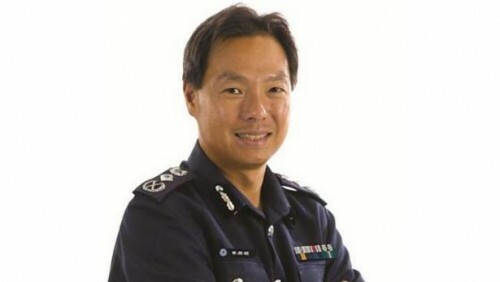 THE current Deputy Commissioner of Investigations and Intelligence Hoong Wee Teck will be appointed Commissioner of Police on Jan 6 next year. The 51-year-old will replace Mr Ng Joo Hee, 48, who is to become chief executive of national water agency PUB as well as Deputy Secretary (Special Duties) with the Ministry of the Environment and Water Resources on the same date. Mr Hoong, who is also director of the Criminal Investigation Department, has served 27 years in the Police Force. He has held various key appointments, including that of commander of Bedok Police Division and director of Police Intelligence. Outgoing chief Mr Ng has served in the Ministry of Home Affairs (MHA) for 29 years, and helmed the Singapore Police Force (SPF) for close to five years. He will step into the seat vacated by former PUB chief Chew Men Leong, 46, who now heads the Land Transport Authority. Yesterday, Deputy Prime Minister Teo Chee Hean thanked Mr Ng for his service to SPF and commended him for making "significant improvements to reduce crime and bring unlicensed money lending under control". He added: "He has also introduced various initiatives to increase the effectiveness of the force and to provide our officers with more capabilities to carry out their duties, such as in community policing and the deployment of police cameras in our HDB estates to fight crime." The DPM also noted Mr Ng's role in strengthening the police's collaboration with regional and international law enforcement agencies through joint operations and information sharing. The MHA yesterday said that Singapore's crime rate reached a 30-year low last year. It added: "Mr Ng has provided strong leadership in reshaping the police force's strategies and putting in place systemic approaches in community policing, tackling unlicensed money lending and related harassment cases, as well as technology to facilitate policing." Mr Ng also led the force during the Little India riot on Dec 8 last year and the subsequent Committee of Inquiry hearing. He said yesterday: "When I signed on the dotted line 29 years ago and became a police officer, my main purpose was to get a scholarship so that I could attend Oxford University. "It was never my youthful ambition to become a cop. But I turned out to be a fairly decent policeman and am tremendously privileged and honoured to have been the police commissioner these past five years. "My only motivation for coming to work every morning is the grave responsibility that I have for the 12,000 or so hardworking policemen and women in the SPF, and our collective mission for safeguarding public safety. "Our men and women in blue are a real treasure. "